Money is one of those topics that can be hard for parents to teach their children, and yet, it is an important one. Many children grow up not knowing the value of money, which can cause issues once they’re adults. Children who don’t learn about financial responsibility can easily become entrapped in debt and poor budgeting. When I was a teen, my parents handled my money. They took my paychecks and doled out my money as they saw fit. When I went off to college, I was promptly up to my ears in credit card debt because I had no clue how to budget for myself! Here are a few ways you can help prepare your children for the world of financial responsibility. One of the best things you can do to prepare your children for the world of financial responsibility is to involve them in your own financial decisions. When going over your budget, invite your children to sit down with you. Explain why you’ve set aside a certain amount for groceries and bills and point out how much money you’re saving each month. By involving your children in your budgeting process, you’re helping them become familiar with how money and budgets should work in the real world. Although you can show them how finances work, your children also need to have personal experience with money. In order to make this happen, you should give your children an allowance based on chores they need to do. This teaches them that their hard work has value. Once your children have an allowance, it’s up to you to teach them the responsible way to handle their money. One great way to do this is to use the “Spend, Save, Give” model. With this model, a certain percentage of their allowance is set aside in a savings account, while the remaining percentage is split between spending on personal items and giving away to a charity. Generally, half of an allowance is saved, 40% is spent, and the remaining amount is given to charity. By involving your children in your budget and giving them the opportunity to manage their own money, you are preparing them for the world of financial responsibility. 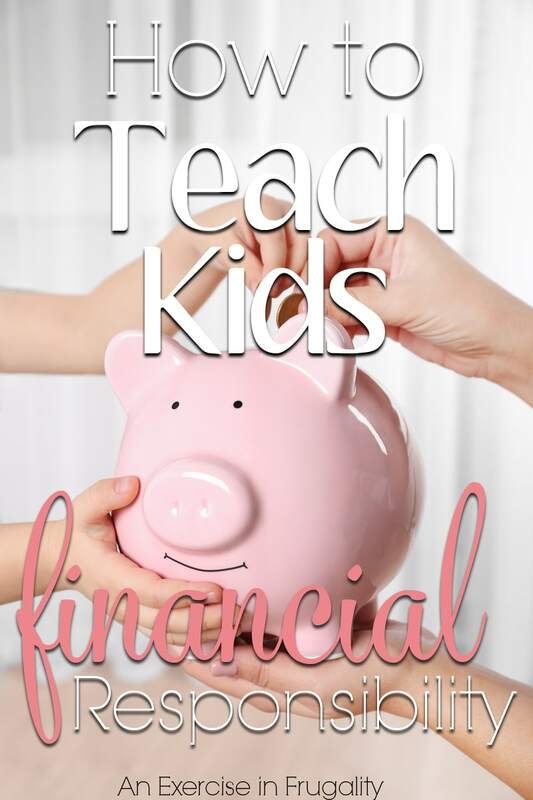 What do you do to teach kids financial responsibility?